committed to the creation of a more just and equitable world. 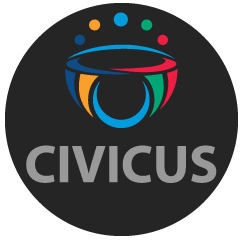 CIVICUS’ mission is to strengthen citizen action and civil society throughout the world, especially in areas where participatory democracy and citizens’ freedom of association are threatened. CIVICUS is proud to announce ONE United Nations (UN) Learning Exchange opportunity sponsored by Irish Aid, focused on Strengthening the Voice of African Civil Society and human rights defenders in the international human rights system. The position will be based at CIVICUS’ UN Office in Geneva from mid-February to end of May 2014. This Learning Exchange is designed to increase the knowledge and understanding of young Africans on the workings of the United Nations Human Rights Council (UNHRC) and the international human rights system. The candidate will be exposed to the contributions from and submissions made by African civil society to the HRC. In particular, the candidate will observe and participate in the Universal Periodic Review Process and the workings of Special Procedures (Special Rapporteurs and Working Groups). During the three-month internship, the candidate will be based in Geneva Switzerland, and work under the direct supervision of the Head of the Geneva Office. He/she will assist in the preparation of reports or statements and help to coordinate civil society engagements during the 28th Session of the Human Rights Council, the 22nd UPR session and other relevant mechanisms. Additionally, the candidate will assist to organise side meetings for CIVICUS and partners with relevant officials from the OHCHR, particular Officers supporting the Special Rapporteurs, Governments with permanent missions in Geneva and NGO partners with permanent representatives in Geneva. These meetings will serve as a means of sharing new information on African civil society issues between UNHRC sessions. The meetings will also provide opportunities for the intern to learn more about UNHRC stakeholders and strengthen his/her advocacy skills. • Demonstrated professionalism, strong analytical skills, ability to quickly adapt to a fast-paced working environment, ability to produce statements and reports over a short period of time and ability to work in a diverse and multicultural environment. • Willingness to travel to Geneva for three months. Interns will receive accommodation in Geneva, round trip airfare and a stipend of €600 a month to cover living costs. • Contact details of three referees who we may contact if you are considered for this post. The deadline for applications: Wednesday, 28 November 2014.